We are absolute yoghurt addicts at our house. We eat it for breakfast, for dessert, and substitute it into recipes all the time with deliciously creamy results! While living in Europe, I found myself preferring tubs of plain, unsweetened yoghurt. This way I could decide just how much I want, and how I want to use. As a savory substitute for sour cream, as the base for an improvised veggie dip, or sweetened with fresh fruit or homemade jam for dessert. Thanks to Mountain High for sponsoring today's discussion! When I first returned to the US my taste buds had adjusted off of the sugary American yoghurts and I was desperate to find a more European-tasting solution. I invested in a yoghurt maker and made it myself for awhile, but the process didn't align with my schedule and I soon abandoned it. When I finally came across Mountain High plain yoghurts and it was with a giant sigh of relief in our house. My European yoghurt dependency finally had a cure! Mountain High has been making European-style yoghurts since 1976 and uses a traditional culturing method called "cultured in the cup". The milk and cultures are mixed in the cup, and cure in a warm environment where they thicken naturally - just like the yoghurts I'd been making myself in the French "yaoutier" I'd bought. Mountain High only uses milk from cows that haven't been treated with growth hormones, and the results are beautifully simple. Yoghurt is such a huge part of my eating, and I've posted a bunch of recipes using it over the course of my blogging adventures. Here is the latest addition to the collection, which is one of our very favorites. These Mini Chocolate Zucchini Muffins are absolutely addictive. 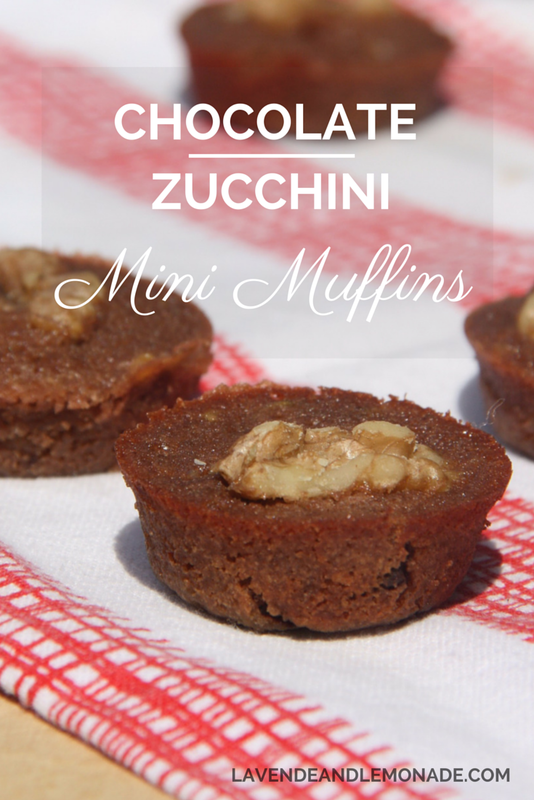 I'd first gotten hooked on chocolate zucchini muffins in a small cafe in Southern Arizona, and it took me years to find the right mix of ingredients to make a healthier, yet perfectly indulgent version. The zucchini melts away to a smooth texture, so you'd never even guess these treats are filled with veggies! Preheat the oven to 350. Prepare the mini muffin pans by spraying or wiping them with oil. In a large bowl (or your stand mixer) mix together the first group of ingredients: butter, sugar, salt, egg, and vanilla. Blend them until it gets smooth and creamy. I like to use the stand or hand mixer since the butter takes a lot of stirring to get smooth. In a smaller bowl, mix together the grated zucchini with the yoghurt. 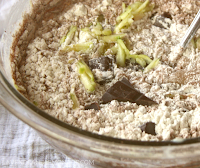 And in a third bowl (a small one is fine), mix the flour, chocolate powder, and chocolate. Pour the bowl of chocolate and bowl of zucchini into the large bowl and mix everything together. 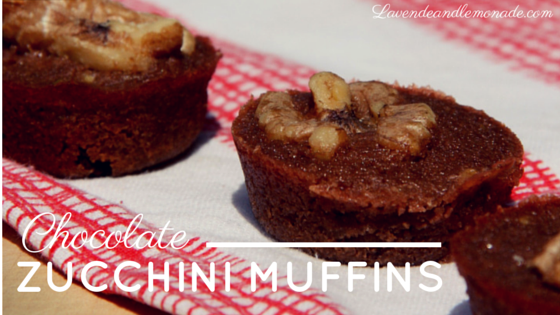 Spoon the mixture into the mini muffin pans, and top each one with a walnut half. Bake them for about 8 minutes, or until they are done all the way through. Since they're small and cute, these are a great recipe to bring along as dessert for a casual picnic. Our neighbors love these, so we like to wrap up care packages and leave the bundles on their doorsteps: Pour leur faire plaisir! Subscribe to the Mountain High Yoghurt monthly newsletter and receive a $1.00 coupon off your next purchase! Healthy and delicious! We just loved trying out Mountain High Yoghurt!